During our mid-term orientation for the program in Palestine/Israel, I had the privilege of visiting, what I believe is, the most inspiring and exciting place I have encountered in my stay here until now. Wahat al Salam Neve Shalom is a village in Israel, about 40 kilometres west of Jerusalem, consisting of about 100 families, of both Palestinian and Jewish Israelis who have chosen to live together as an example of how Jews and Arabs can live with one another in peace and mutual respect without compromising their own identity, be it religious or secular. “Wahat al Salam” is Arabic for Oasis of Peace, the Hebrew equivalent being “Neve Shalom”, hence the name of the village. The following information about the community is taken from their literature, and some is from what I was told during my visit there about 2 weeks ago. The village is situated an equal distance between Jerusalem and Tel Aviv and was founded in the 1970’s on land originally leased from the adjacent Latrun Monastery. It is hoped that eventually the village will contain about 140 homes. The village is democratically governed and owned by its members and the community is not affiliated with any political party or movement. The vision of the community is expressed through various activities and programs that it runs. Equal participation by Jews and Palestinians in the administration and teaching. Providing a natural ongoing framework that enables the day-to-day meeting between children of the two peoples. Use of both Hebrew and Arabic in teaching all of the children. Nurturing each child’s identity by imparting knowledge of his/her culture and tradition while inculcating respectful familiarity with the culture and identity of the other people. Encounter workshops on the conflict for Jewish and Palestinian youth in Israel. Encounter workshops, in-service training and seminars for adult groups, including teachers, journalists, lawyers, social workers and university students. Encounter workshops between citizens of Israel and Palestine together with Palestinian NGO’s. Yearly graduates’ courses in cooperation with 4 Israeli Universities. Courses for empowerment of Jewish and Arab women. Training courses (in its working methods) for persons from abroad. Encounters for raising awareness towards intergroup conflicts within Arab and Jewish society. Our guide in the village told us a lot about the encounter group sessions in the School for Peace which last for 3 days and all participants stay in the village for this period. The workshops begin with an all group session, with a facilitator, where all participants are encouraged to vent their feelings to the each other about the conflict. These sessions get extremely heated with a lot of screaming and yelling as you could imagine! This sessions pretty much fills the first day and at the end of the session the participants are given their rooms for the night. The facilitator chooses whom bunks with whom so that people are sleeping in the same room with an “adversary”, so to speak! This causes some consternation, but people accept the situation they are presented with. The next day’s session involves a role reversal whereby people must advocate for the exact opposite position that they took the day before. We were told that not all people come out believing the same thing, but everybody comes out a changed person! Of all the workshops that they have conducted of this nature, no one has every left a workshop before its completion. Some 45,000 young people have completed a similar workshop. Programs focus on open inter-religious and inter-cultural dialogue and the advancement of peace. 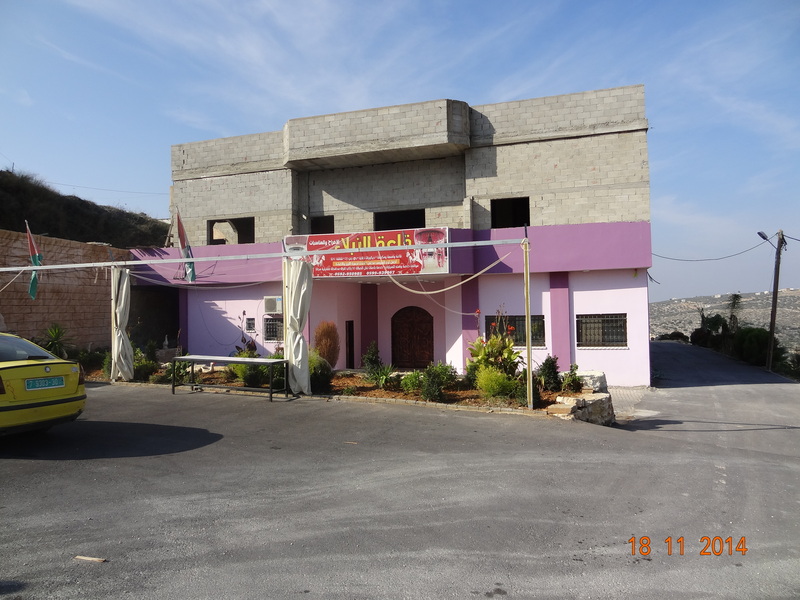 The objectives of the youth club are to foster and sustain interpersonal connections. To encourage voluntary community involvement. To increase awareness on issues of Palestinian-Jewish relations and social justice. Operates a program to provide humanitarian relief (usually but not exclusively medical) for Palestinian villagers affected by the ongoing conflict. The village has a hotel with in season swimming pool that is open for guests and participants in the programs. For one day visiting groups there is introductory presentations and videos. Wahat al Salam Neve Shalom has friendship associations in a number of countries but not yet in Australia. I am planning to set up an “Australian Friends of Wahat al Salam Neve Shalom Association” when I get home. If anyone would like to be part of this work to support this wonderful organization which shows to the world an example of how peace is possible in this region, then please contact me via this blog and we can arrange a meeting back in Australia. One of our teams regular tasks has been to monitor the checkpoint that leads into the village of Azzun Atma. 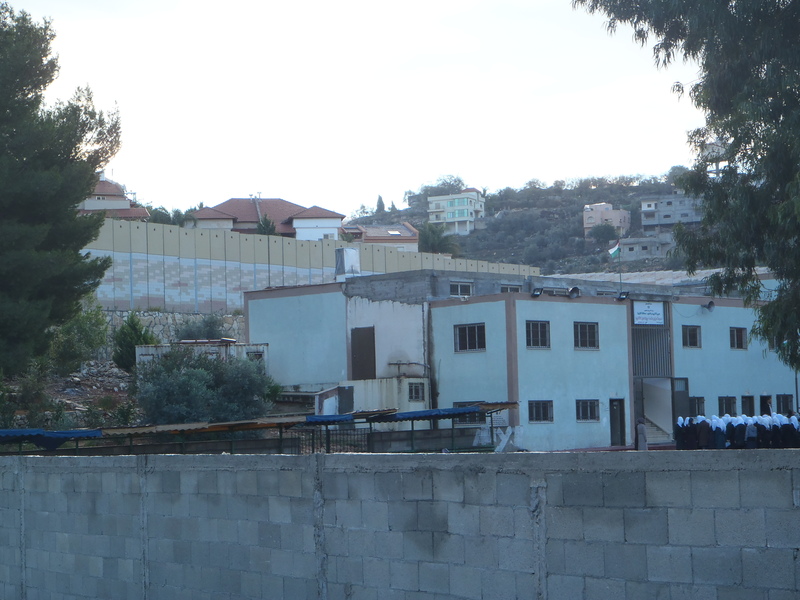 This little village is in the rather peculiar position of being totally entrapped by the separation barrier. The only way into the village is via a military checkpoint that is guarded 24 hours a day by soldiers in full battle uniform. The village has two schools; each containing about 300 students. Many of the students live outside the village and hence have to pass through the military checkpoint. International Law states that these protected persons are not allowed to be searched or stopped on their way to school. When we have been present to monitor the checkpoint we have never seen a student stopped and searched, yet the principal of one of the schools told us that this has occurred a number of times when we have not been present at the checkpoint. As a teacher, I know how easily young students can be intimidated by older students and adults at school, let alone fully armed soldiers! Yet these young children seem undeterred by such naked displays of power. All of our teams have noticed the very high importance placed on education in Palestinian society and Azzun Atma is no exception. The ridiculous nature of the separation barrier is also highlighted in the example of Azzun Atma. 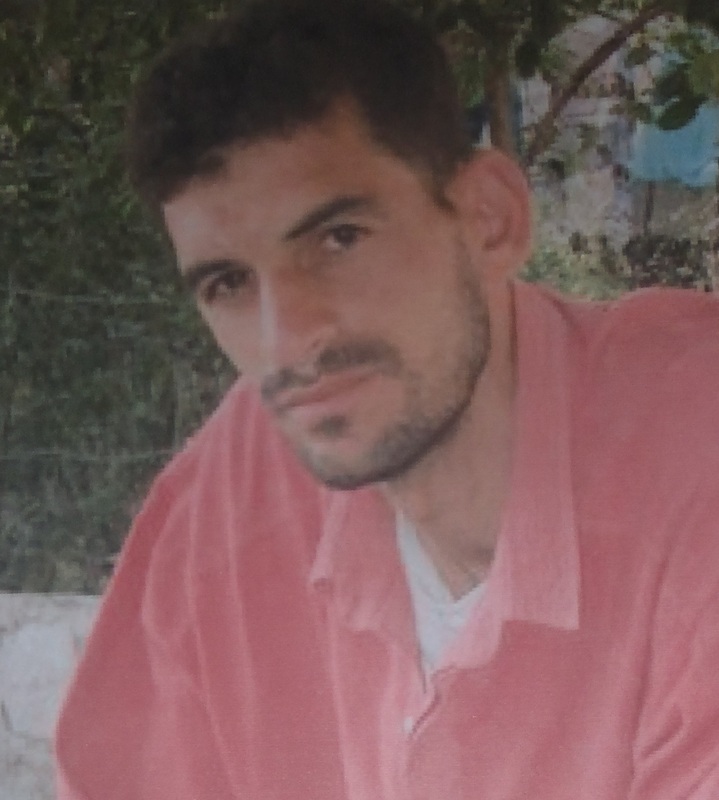 People living or working in Azzun Atma that pass into the village from outside, are searched for weapons 24/7. But why? 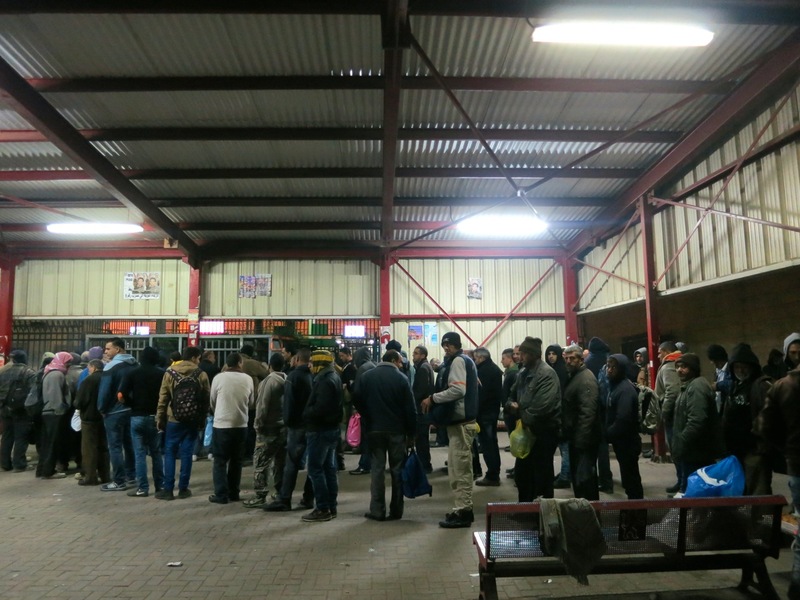 The people going across the checkpoint are moving from West Bank territory to West Bank territory. Who are the Israeli military trying to protect? Is it the settlement that lies just to the western side of the village? The 5m high concrete wall is meant to do that right? That’s what the Israeli government claims is the purpose of the barrier; to protect Israelis from Palestinians. Apparently the barrier isn’t sufficient to fulfill its purpose in Azzun Atma. There apparently needs to be a further checkpoint to accomplish this. Also, the settlement buildings are extremely close to the larger mixed school and often waste sewage water from the settlement flows into the school yard! 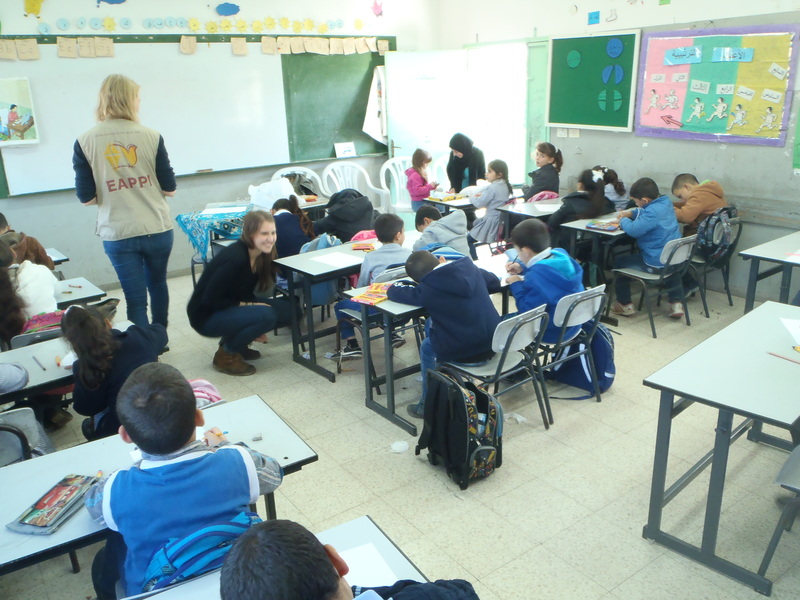 A few weeks ago we decided to visit one the schools in Azzun Atma to do an activity with a class of grade 4 students. We got the kids to simply draw some pictures of their life in Azzun Atma for us. They really got into it with one little girl saying that this was the happiest day in her life! 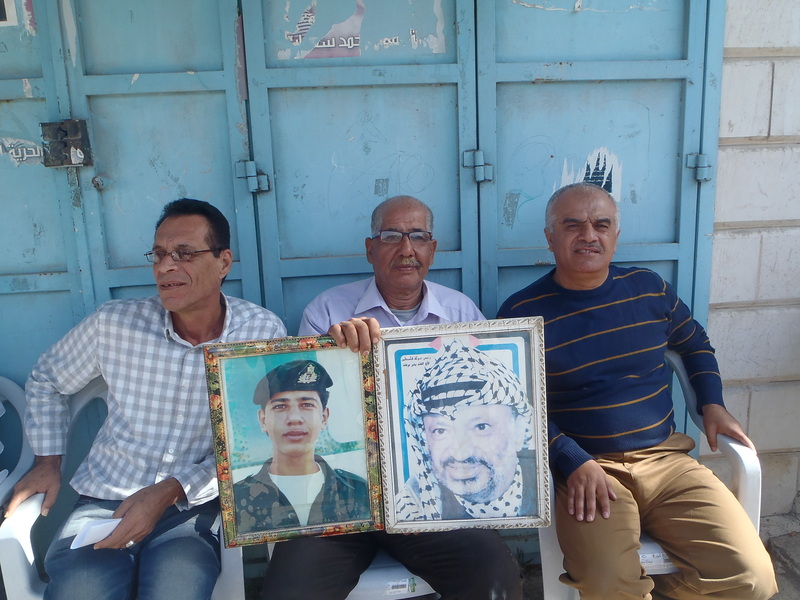 Some of the students drew pictures of the checkpoint with the gun toting soldiers but most drew “happy” pictures of their family, school and the houses they live in. This “normal” type of drawing spoke to us of the resilience of these children who are well aware of the difficulties that the occupation poses to them and their families. It was an incredibly uplifting experience for our team and we plan to do the same activity with a Bedouin school in the Seam Zone near Qalqilya. One of the schools is Azzun Atma. Note the separation barrier with the settlement houses in the background. Our team in the classroom in Azzun Atma. A student from Azzun Atma school feeling pretty happy about her drawing! Teachers in these schools who live outside of Azzun Atma face constant difficulties in getting to work on time due to being held up by the soldiers at the checkpoint and have more than once been trapped in Azzun Atma overnight when the military have closed the checkpoint for periods of up to 24 hours. 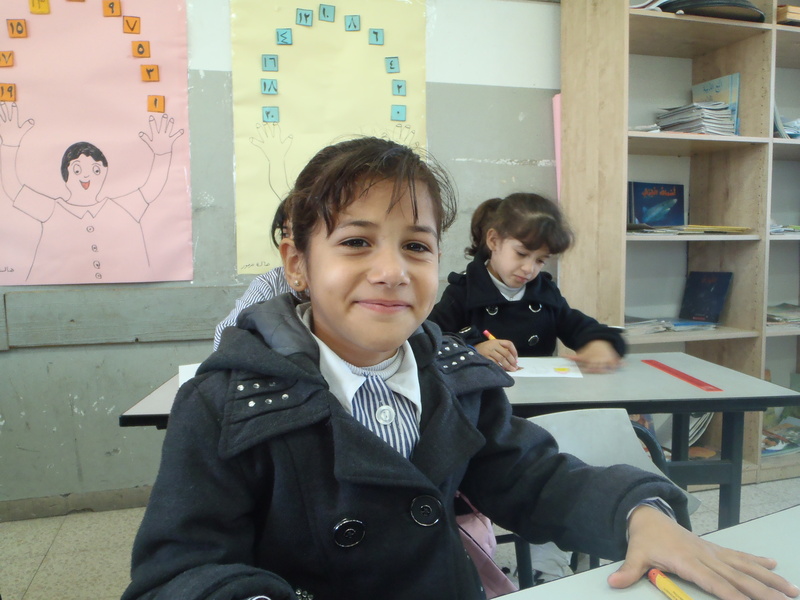 For this reason the schools in Azzun Atma have a higher turnover of teachers than usual. We have been told that the checkpoint will be taken away soon to allow constant access to all who need to go into this little village. But for many the damage has been done in the sense that it has already messed with their lives far more than they have wanted. As you can imagine, this hardly endears these children to the Israeli Military. The Principal of one of the schools told us that they have a lot of issues with violent behavior amongst the young boys of the school. It hardly surprised us. Many people back in Australia believe that Palestinian children are somehow taught to hate Israelis right from the get go. They claim that Palestinian school text books teach racist attitudes towards Jewish people and the State of Israel. But this simply is not the case. Since 1993, all Palestinian school text books are screened by the Palestinian Authority who in turn are screened by the Israeli Government. No screening of how Israeli text books portray Palestinians occurs in Israeli schools. You don’t have to teach Palestinian children to hate the occupation any more than you need to teach people to hate being beaten up and humiliated. It just comes naturally. As I said in the previous post, the agricultural gate near the village of Qaffin, gave us some problems that are unique to the occupation. The thousands of workers and land owners who have land, or work on the land, in the Seam Zone, cannot just walk up to the gate that leads to their land and cross over and get to work. In order to be allowed to cross, one needs a permit for that particular gate. Gaining a permit can be extremely difficult , if not impossible, for many who need to go through the gates and into the Seam Zone. The bureaucracy that the Israeli government has created to handle the permit system is completely invisible to the Palestinian people. All in all there are some 110 different types of permits that Palestinians may, or may not need, at some time to live their lives in anything like a normal fashion. When a Palestinian worker obtains a permit to cross over into Israel via one of the checkpoints that go into the Zionist state, he/she does not actually own that permit. Their employer does. As such, the employer can cancel the permit at any time they feel like, and the worker will suddenly find themselves not being allowed to pass through the checkpoint the next day with no explanation. This happens on a regular basis. Many Palestinians, (over 300,000 of them) find themselves on the so called “blacklist”. A person can be on this list without the slightest idea why. Sometimes it can be because a relative has been arrested during a demonstration or was caught working illegally in Israel, even if that was many years ago. Sometimes it is simply stated that you have security issues and that is that. Many Palestinians hire lawyers to try to get themselves off the “blacklist” and end up spending large amounts of money for no result. 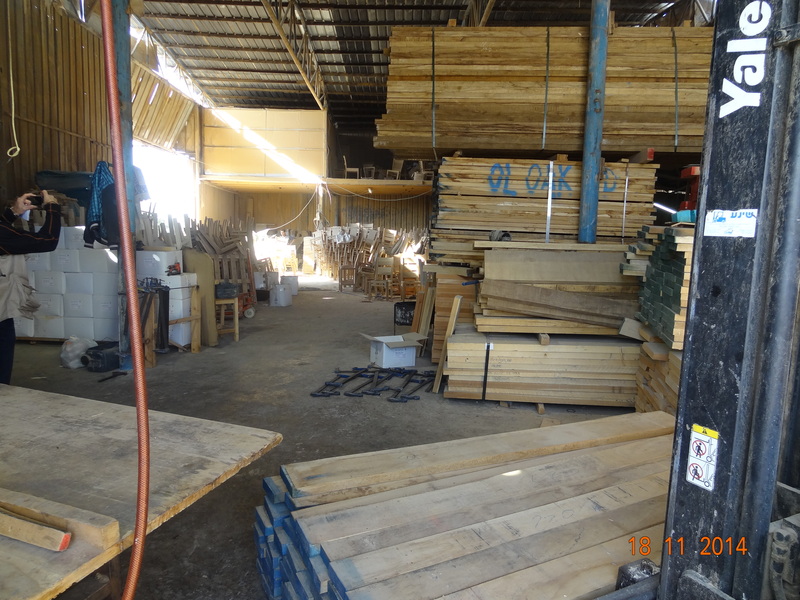 A huge black market in forged permits also exists with people on both sides of the conflict acting illegally and making large profits in the process. Permits to agricultural gates can be hard to obtain because they require proof of ownership of the land and this can be difficult due to the fact that this part of the world has been occupied by foreign powers many times in the past. Having exactly the right paperwork to prove ownership of the land can be very difficult and can, as we shall see later, cause enormous problems when people want to build houses or extensions to their house to accommodate a growing family unit on what is their own land. Even if a person is able to get a valid permit for the right gate, the story is not over, as we discovered when we visited the Qaffin gate on the 14th of November. We had heard that a number of people were not being allowed to pass through this gate, with no good reason given, and we went to investigate to see if anything could be done. When we got to the gate, we did in fact see a number of people not being allowed to pass due to the rather belligerent behavior of one particular female soldier who seemed to be in charge. This is part of the difficulty that Palestinians face at checkpoints and agricultural gates. Being allowed to pass, or not allowed to pass, can depend on the mood of the soldiers manning the gate. In this case, after asking one of the young soldiers, who spoke English, why the people had been sent back, he told me that it was because their clothes had been either too dirty or too clean. One person could not pass through because they had three packs of cigarettes on him and this was deemed enough of a reason to not allow the man through, depriving him of a day’s work and the money he would earn for his family. Another man was not allowed to pass through because he was wearing two pairs of pants! Believe me, it gets cold at these gates at 6:00am during a Palestinian winter, but this was no excuse according to this Israeli soldier. A heated argument started between the soldiers and the mayor of the village who came down to the gate to see what could be done. A few of the soldiers started raising their weapons in an aggressive manner, though I doubt whether they had any real intent to shoot. We made phone calls to various people in the Israeli civil administration to see if they could help and we took the details of the men and sent them to an Israeli organization called Machsom Watch (see Machsomwatch.org). This is a group of Israeli women who specialize in dealing with the huge Israeli bureaucracy that handles the permit system. 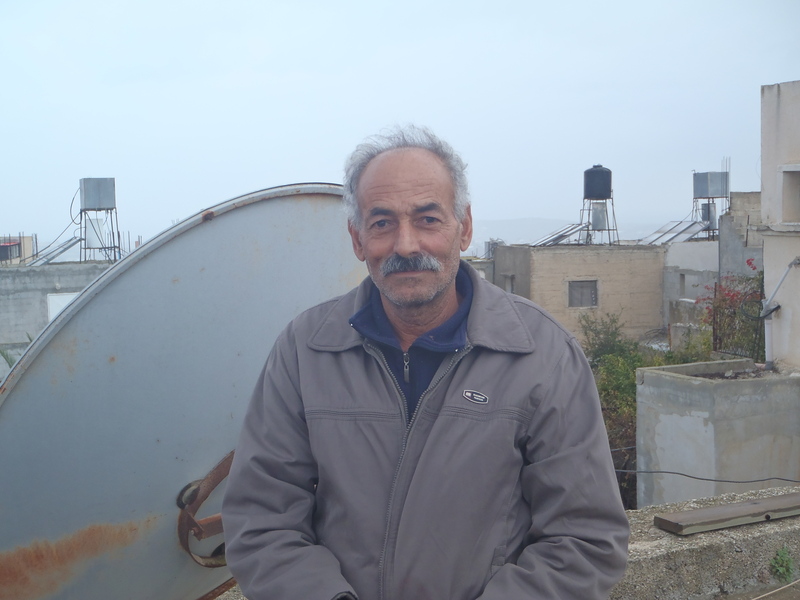 They advocate and fight for the rights of Palestinian farmers and agricultural workers. A courageous group of women, some of whom are married to the very men who administer the permit system itself! Good people to have on your side if you ever need them. 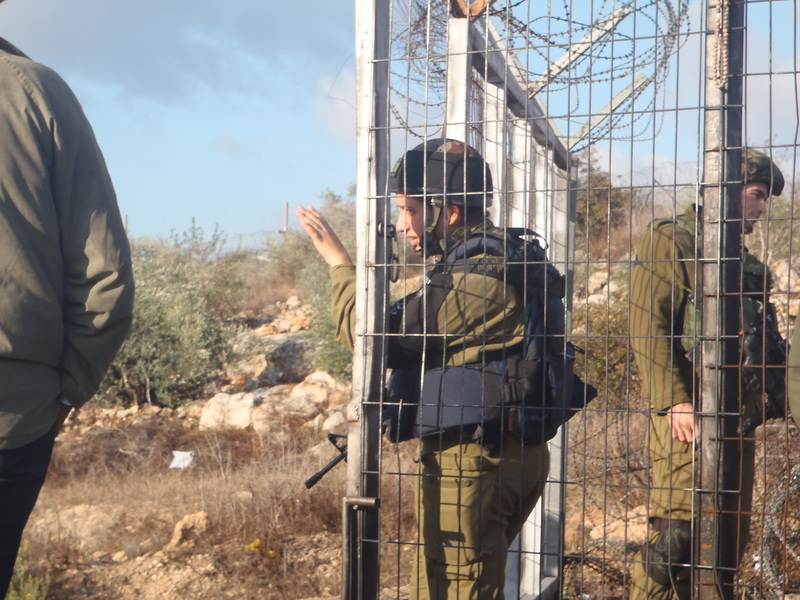 A couple of days later the female soldier was removed from the gate, but within a week we found another soldier giving ordinary Palestinian workers a hard time. Apparently the security needs of Israel mean that every Palestinian is considered a terrorist. International Law demands that these agricultural workers be treated as protected persons but the only thing that the occupation protects is the real or imagined security needs of settlers and soldiers in the occupied territories. This, I have now witnessed with my own eyes.